Entities across all categories of motorsports agree on one thing — motorsports as we know it is experiencing a major disruption. Newer technologies, change in audience habits and interests, and drop in traditional viewership are some factors that have pushed motorsports to adapt as well as innovate in the ways they reach audiences. How does this disruption affect a brand sponsor? And what are the changes it needs to make to prove and improve its sponsorship ROI? 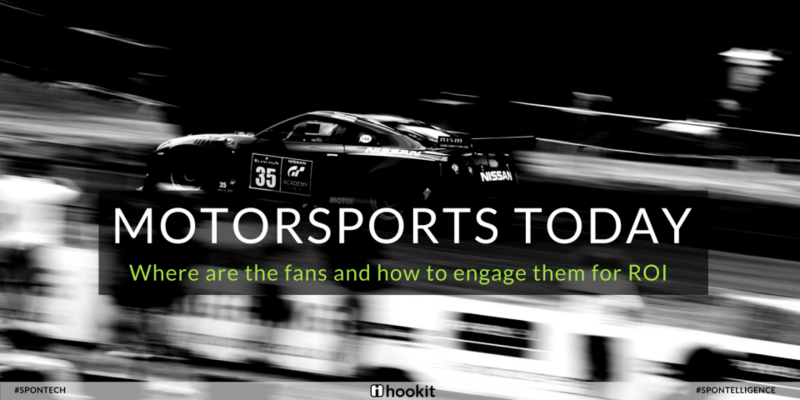 The below guide from Hookit aims to answer these questions and more, as well as provide insights about the major factors influencing the motorsports industry. Below is a small excerpt from the guide, which details one among the many factors influencing the motorsports industry, and what this means for a brand sponsor! Across the board, motorsports has been struggling with decline in TV viewership, with major motorsport series like NASCAR also worrying about the increase in their median age demographic. However, the data shows that fans haven’t left motorsports, the audience has simply moved to different platforms such as social and digital media. It is no secret that social and digital media are catching up or overtaking traditional media in viewership and engagement across all types of entertainment. Sometimes, younger & newer fans become aware of a series ‘first’ on social media, creating a new avenue for entities in motorsports to reach and discover a new set of fans. A strong and consistent presence on major social platforms and addition of digital streaming options for fans to watch their favorite motorsports on multiple channels and at their convenience are a few ways that can help combat drop in viewership on TV. Streaming provides sponsor brands with multiple opportunities to reach their intended audiences. Previously, the only way for motorsports to reach audiences was through TV broadcasts or fans attending the race. Even then, some events were not broadcast on TV, making it difficult for those events to secure sponsors. Now with social and digital media channels; brands and events can create their own content while reaching and engaging their audiences. 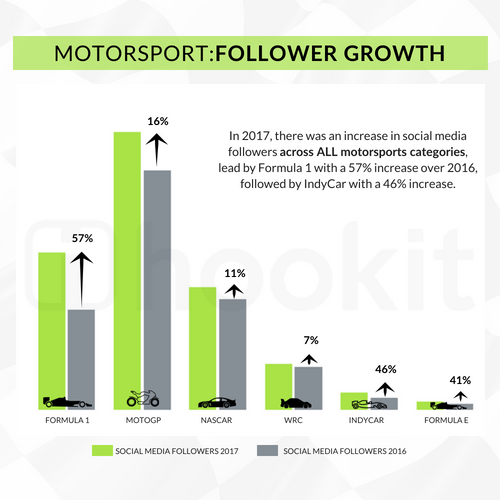 The measurable engagement quality of social media makes it easier for motorsport events to prove their ROI to sponsors and for sponsor brands to make better sponsorship decisions. Want to learn more about how to engage fans and increase ROI for sponsors in MOTORSPORTS? Download the handy guide below!